Traveling is good for us; we get to experience new cultures, try different cuisine and see things that we have never seen before. Traveling just has an air of adventure about it and it should come as no surprise that travelers tend to be much happier than their counterparts. However, traveling does come at a price and, due to inflation and various other factors, baggage allowance is becoming more expensive. To combat this, you are going to need a good quality and functional carry-on and this is why we scoured the market for the Top 6 Carry-on Traveling Bags. The Delsey Helium Aero features a rugged 100% Polycarbonate construction that is resilient to both cracking and breaking. Measuring in at 21” tall, the Delsey Helium Aero is compatible with most airline specifications for carry-on bags and is both lightweight and durable since it features a 100% Polycarbonate shell that is extremely resistant to both cracking and breaking. Another factor that makes the Helium Aero special is the fact that it was designed for comfort; the handle system can be locked in two different positions by using the recessed one-button locking system while the twin trolley wheel design ensures that you have zero weight in your arm. 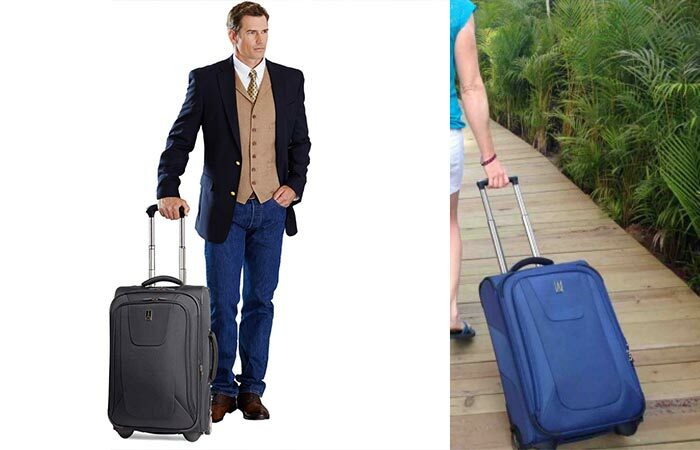 It uses a zipper to open and close the bag but you need not worry about your valuables going missing since the Helium Aero features an integrated 3-dial TSA-accepted combination lock. Check out the video below. The internal is comprised of two large fully-lined compartments that come with multiple pockets as well as web straps and zippered divider that helps to eliminate wrinkles from your clothes. If you wanted to bring back some souvenirs, the Helium Aero can expand another 2” to give you more packing space. The Timbuk2 Aviator is unique in the fact that it is modular and can be used as both a backpack and a suitcase. 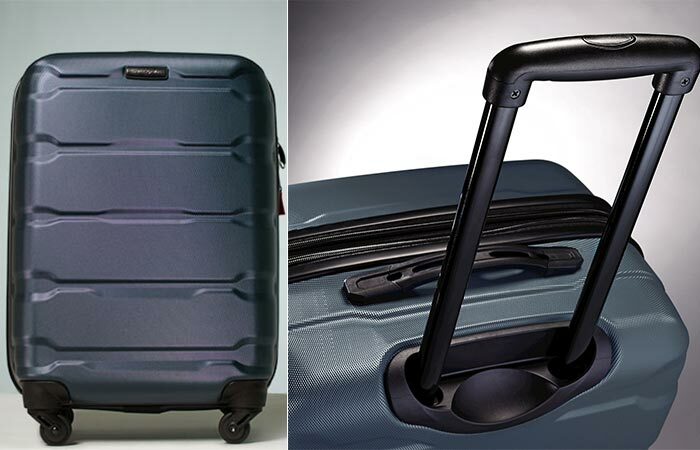 Reinforced handles all over the sides allows for easier luggage stowing. The Timbuk2 Aviator is a very unique travel bag in the fact that it features both a soft construction as well as having modular characteristics. The entire bag is constructed out of 60% Polyethylene foam and 40% Polyethylene Vinyl Acetate; this means that not only is it soft but super comfortable as well. This backpack features an internal slip as well as 2 interior zippered pockets and 6 additional external pockets. It is packed full of features as well such as a removable hip belt and all the zipper pockets are hidden from view. The Timbuk2 Aviator was also designed to comfortably hold a 15” MacBook Pro and the reinforced grab handles makes this bag exceptionally easy to carry around. Check out the video below. Some of the other features include a panel loading compartment for ease of access, dual side stretch pockets, a removable sternum strap, sized for international carry-on as well as being TSA friendly (you can remove your laptop without removing your backpack), external compression strap and, being modular, you can convert it between a suitcase and a backpack. 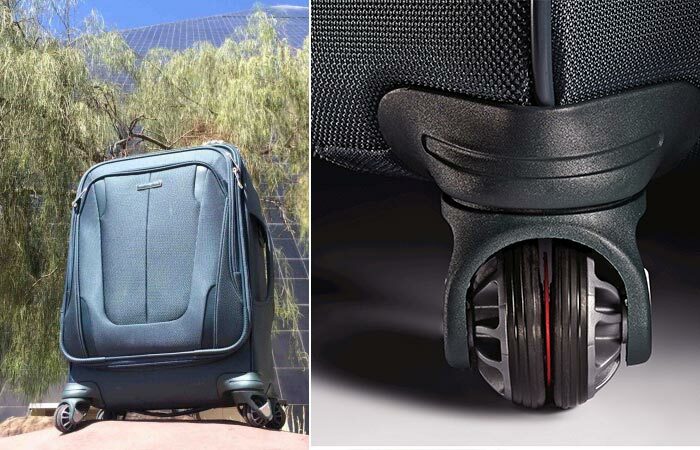 The Samsonite Silhouette Sphere 2 is unique in the fact that it offers a revolutionary split-wheel design that allows each half to counter-rotate. This allows the Sphere 2 to glide over the most uneven of surfaces. Samsonite has long been known to be an excellent manufacturer of both carry-on travel bags as well as suitcases. They deliver both quality and simplicity so that you can stress less and enjoy more. It should also come as no surprise that the Silhouette Sphere 2 got 4.7 out of 5 stars from 157 customers. Being somewhat unique in its in own right, the Samsonite Silhouette Sphere 2 measures in at 8” high and 15” wide, which gives you ample of packing space while still being compact. The Sphere 2 is also special in the fact that it has a one-of-a-kind split wheel design that allows each half of the wheel to rotate in opposite directions with comfort; this means that your Sphere 2 will be able to easily traverse even rough and uneven terrain. Since there are four of these multi-directional spinner wheels, it can also roll upright so that there is no weight on your arm. Check out the video below. The Sphere 2 is constructed out of 100% nylon, making it a soft bag, but it features SamGuard protection that has a water resistant coating and the interior features WetPak, modesty pockets and mesh as well as a Tri-fold removable suiter that keeps your business attire neat. This bag can expand as well for extra storage space. 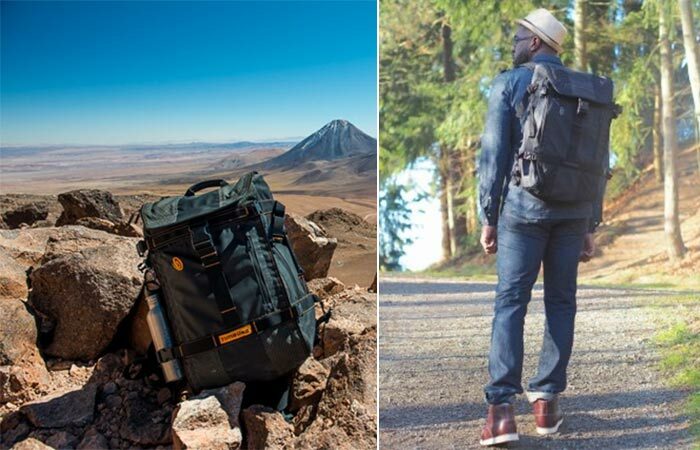 Featuring a 100% polyester design and a honeycombed frame, the TravelPro Maxlite 3 is an exceptionally lightweight bag. 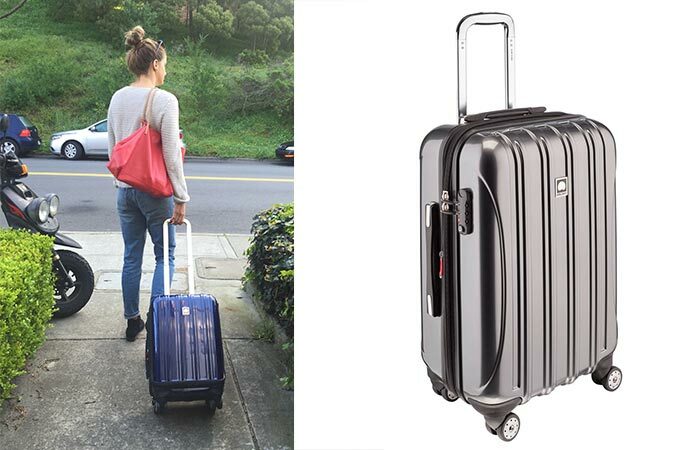 Measuring in at 21” high and 14” wide, the TravelPro Maxlite 3 gives you considerable space while still being compatible with international flight carry-on specifications. Since it features a 100% Polyester construction, this bag is also exceptionally lightweight. Designed for comfort, the TravelPro Maxlite 3 features a patent pending counter grip design that has specially placed rubberized touch points that are specifically engineered to increase grip comfort while using the spinner function. This bag features 4-wheel spinners that can rotate 360-degrees as well as being rolled upright which removes all the weight from your arm and glides smoothly in every direction. Check out the video below. Airline-grade aluminum handle locks allow the handle to be locked into two different positions (38” and 42.5”) so that you can comfortably roll it around no matter your height and to reduce the weight, the Maxlite 3 features a honeycombed frame system. The Maxlite 3 features a full length interior pocket lid, a side accessory pocket and internal adjustable hold down straps that allow you to pack smartly and efficiently. The Timbuk2 Co-Pilot doesn’t have spinner wheels but it compensates for this, many times over, with the intelligent use of broad skateboard-style back wheels that makes rolling it around very easy. The Timbuk2 Co-Pilot functions much differently than most other carry-on bags since it doesn’t feature a spinner wheel design. However, it does compensate for this by featuring broad skateboard style wheels that makes it extremely easy to roll around. The Timbuk2 Co-Pilot is constructed out of extremely durable nylon and fabric reinforced tarpaulin that ensures that you have a good quality carry-on that will last you a long time. Opening up the main compartment is simplified with the large front zip and to increase ease-of-use, there is an expandable top stash pocket that is accessible in overhead bins. To make it easy to go through airport security, the front zipper pocket can fit up to 13” MacBook Pro that is easily removable and this bag features an integrated ID window that allows for quick and clear identification. Check out the video below. To top this all off, the Co-Pilot has been designed to have reinforced grab handles on all sides of the bag so that you don’t need to struggle to heave it into the overhead bin. 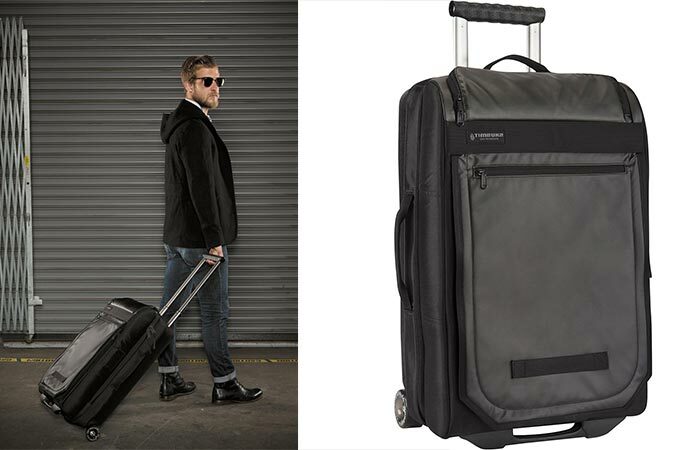 The Samsonite Omni PC Hardside Spinner was designed to be tough and they managed to do this by constructing the shell out of 100% Polycarbonate. By covering the outside with a micro-diamond texture, the Omni PC is incredibly scratch resistant and will look as good as new even on your 100th trip. The Samsonite Omni PC Hardside is constructed in a different manner than the Silhouette Sphere 2 and when it comes to choosing between these two bags, it merely comes down to a choice in personal preference after weighing out the different pros and cons of each type. Made to last the elements and any rugged terrain that you can throw at it, the Omni PC features a 100% polycarbonate construction that is resistant to both cracking and breaking while the inclusion of a micro-diamond texture makes it extremely scratch resistant. This means that the Omni PC will look as good on the 100th trip as it did when you just bought it. This heavyweight protection is supported by effortless and weightless gliding in the form of integrated 360-degree spinner wheels. Check out the video below. To ensure that you have some extra packing space, this case is expandable as well and to make it easy to go through airport security and still keep your valuables safe, the Omni PC offers a TSA-accepted lock. The internals feature a full zip interior divider as well as cross-straps that allow you to pack intelligently while saving space. The best part is that you get all of this without breaking the bank.